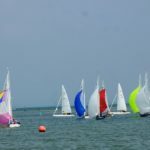 After some pretty nasty weather earlier in the week, the God’s were kind over the weekend for this year’s Illusion Match Racing Championships. That said, some found the light and fickle breeze, particularly on Saturday difficult to get to grips with and the short course meant that a single mistake was extremely difficult to make up. 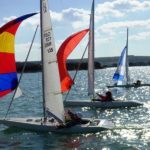 The format followed previous years with the sixteen boat entry split into two leagues and a round robin within each league on Saturday. On Sunday, the top four from each league then competed in the quarter finals with those winning going onto the semi-finals and the losers into the Plate semi-finals. 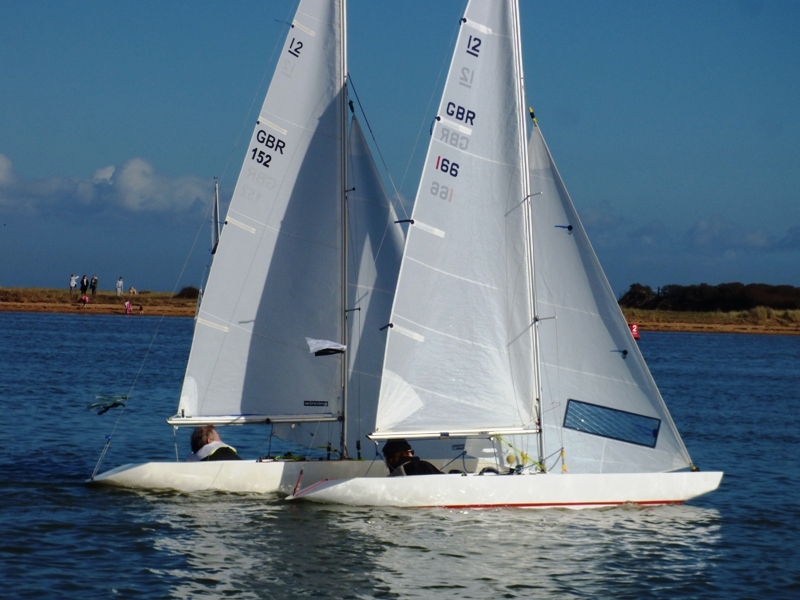 After a lengthy postponement waiting for the breeze to settle, the first unexpected win was by Hugh Doherty who beat Julia Bailey; in the last race of the first flight, Raymond Simonds was trailing Mike Issaias for most of the race but just squeezed past in the last 10 metres. 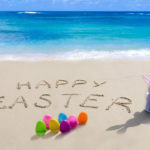 There was another postponement before the second flight could get underway as the course had to be completely re-set when the breeze veered significantly to the South. Young Alex Downer scored another win by beating Alastair Speare-Cole and much to his surprise Hugh Doherty finished ahead of Raymond Simonds. Roly Wilson had a close match against Julia Bailey as did Rupert Holmes against George Downer. Although it flicked around a bit, the breeze remained Southerly at about 7 knots for the rest of the day so the remaining five flights followed in quick succession. The third flight went pretty much as expected; the closest race being between George & Jo Downer which George just won. 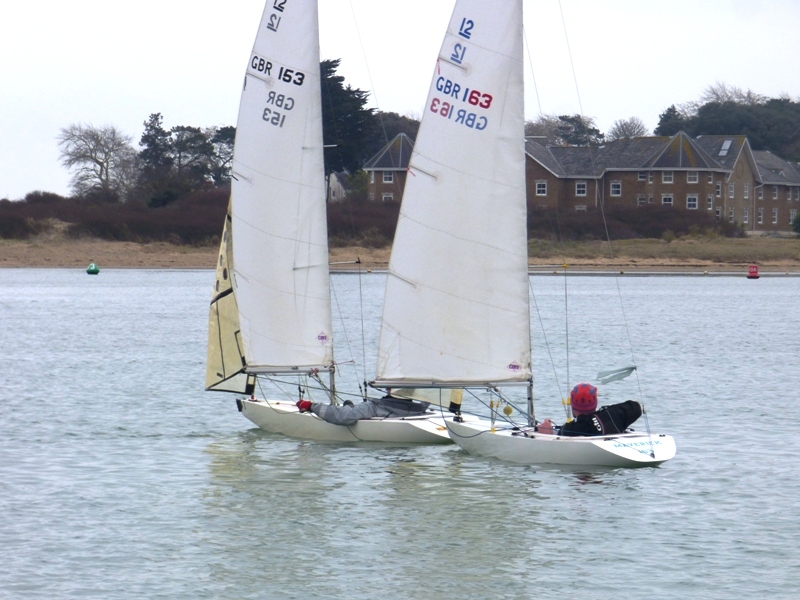 IOn the fourth flight, there was a bit of confusion in the race between Alastair Speare-Cole and Olly Laughton-Scott over who had to take a penalty, however there were no hard feelings when Olly realised that it was him. Jo Downer and Julia Bailey had a close race but it was just not Julia’s day so victory went to Jo. 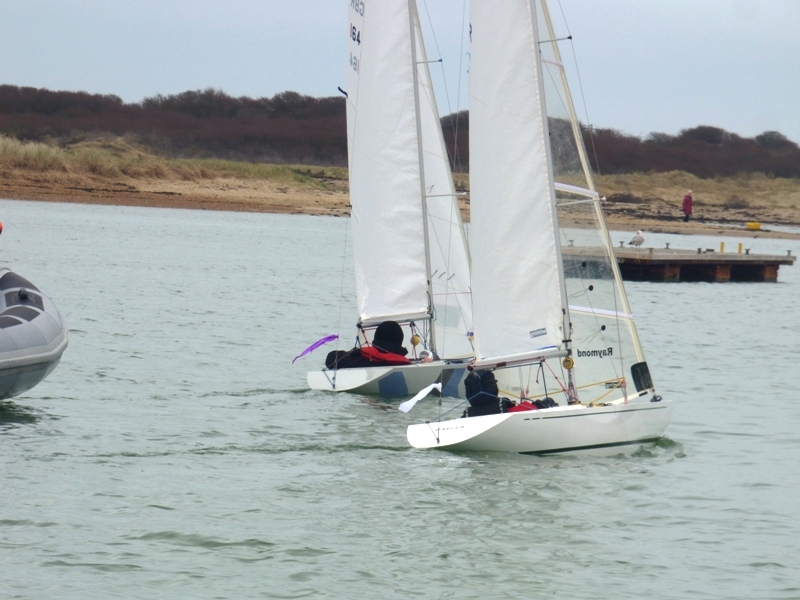 The fifth flight had some close races with Jo Downer beating Raymond Simonds and George Downer beating Julia Bailey. In the sixth flight, Philip Russell beat his nephew Alex Downer, Mike Toogood finished ahead of Richard Ambler and Hugh Doherty took the scalp of Jo Downer. With the water fast disappearing the Race Officers decided to risk the seventh and final flight. 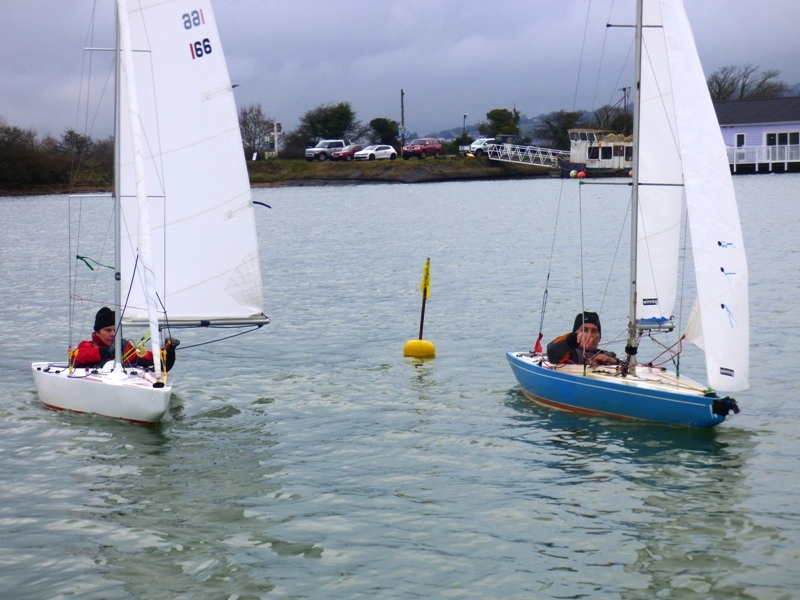 In the event they just got away with it and the last of the eight races finished without anyone going aground. Mind you a few tried to cut the corner getting back to the Illusion Quay and had to get out and push themselves off the sandbank in the middle of the harbour, and the last few boats had to be manhandled to get them under the cranes. In the first race, Graham Bailey managed to push Mark Downer over the line at the start and although Mark recovered very quickly, he was unable to make up the lost ground. In the black group Raymond Simonds sealed Julia Bailey’s fate which meant that unexpectedly she failed to make the cut for Sunday’s quarter finals. Not such a nice day on Sunday with a light drizzle and although the forecast had suggested more wind, sadly it never gusted more than 9 knots. 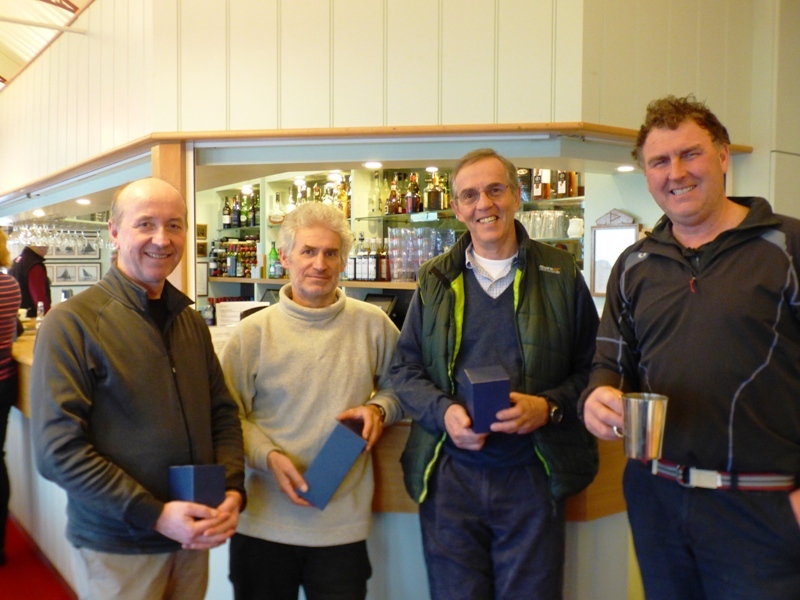 There were no real surprises in the best of three quarter finals with Graham Bailey beating Rupert Holmes 2 – 0, Raymond Simonds beating Philip Russell 2 – 0, Mark Downer beating his wife Jo 2 – 0 and after some close racing Alastair Speare-Cole beating George Downer 2 – 1. This pitted Graham against Raymond and Mark against Alastair in the semi-finals and Rupert against Philip and Jo against George in the plate semi-finals. It was a close run thing in the first of the semi-finals with Raymond just managing to beat Graham 2 – 1 having lost the first race. 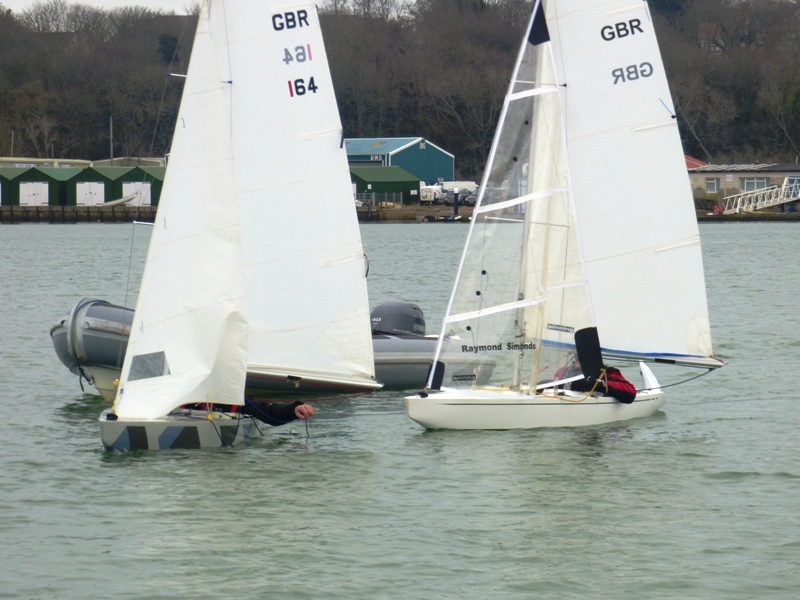 In the second semi-final Mark beat Alastair 2 – 0, albeit the result does not reflect that Alastair was rapidly closing the gap in the final run to the finish line. 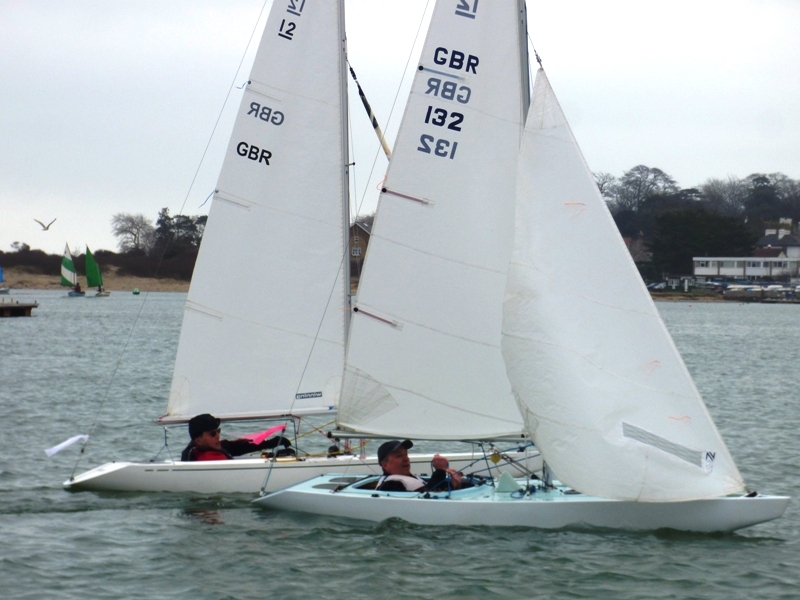 In the plate semi-final, both matches went to 2 – 1 with Rupert and Jo taking the plate final slots after some very close racing. 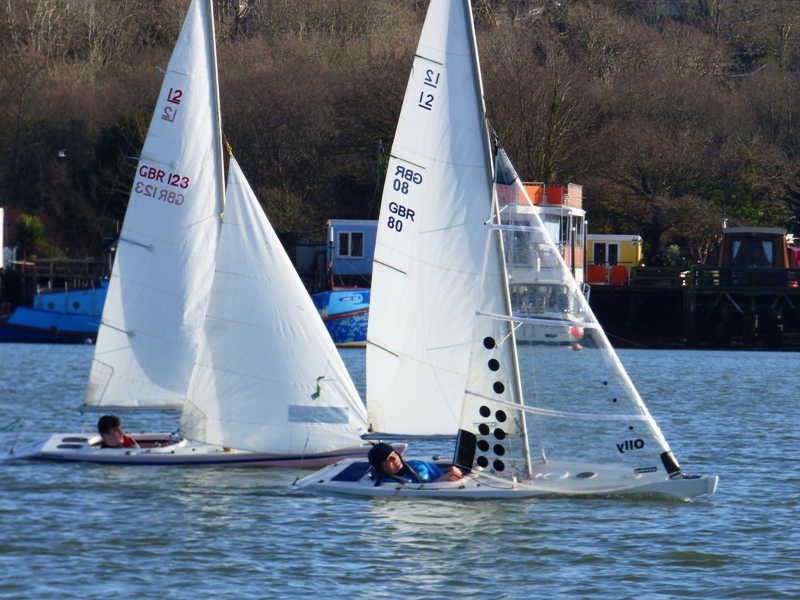 Mark won the first race in the finals however Raymond took the second one after he had managed to force Mark over the line at the start. In the third race, Raymond had to take a penalty, which even though he delayed taking it until nearing the finish line, meant that Mark took the race and was 2 – 1 going into the fourth race. Mark’s luck held out and he was well ahead for most of the race, however on the final run to the finish line, Raymond picked up a slightly stronger breeze on the left of the course and had the leg been another 50 metres longer he might well have won and leveled the score, however it was not to be and Mark crossed the line still in front to win 3 – 1. In the Plate final Jo took the first race but could not add to her success and Rupert took the next two races to win 2 – 1. In the two “runners up” semi-finals, Graham beat Alastair 2 – 0 and George beat Philip 2 – 0. 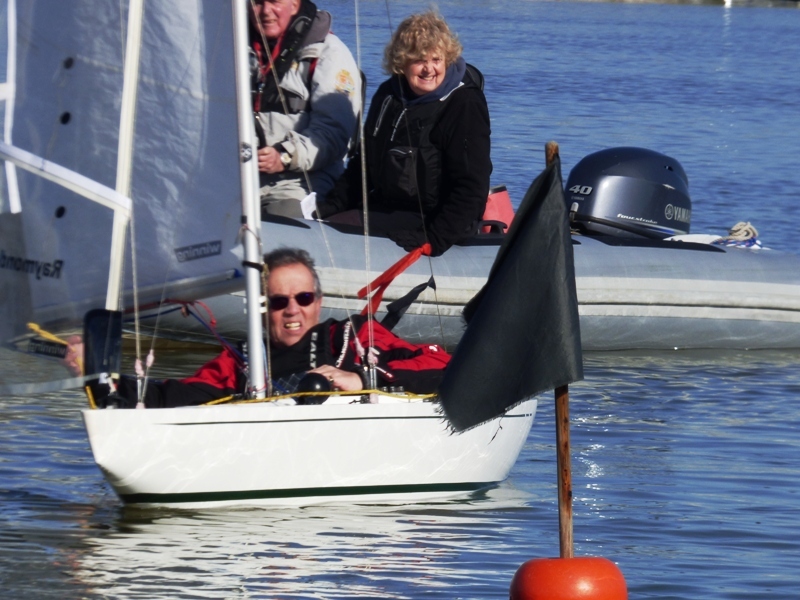 A big thank you to the Race Committee and the Umpires – notwithstanding the fickleness of the breeze, all 83 races ran like clockwork! 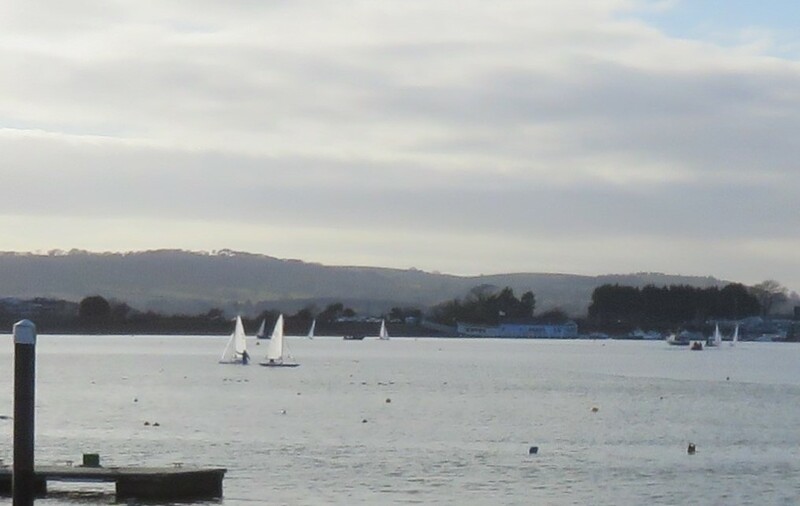 No racing next weekend as the tides are wrong; the next Regatta is the Spring Plate which is on 3rd & 4th March at 10:00 & 11:00 respectively.